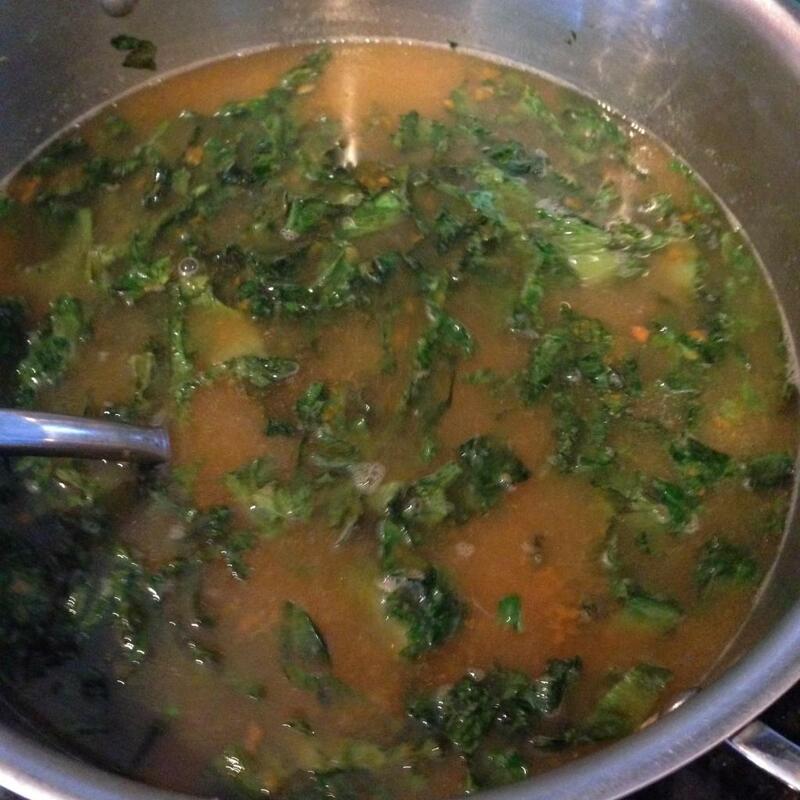 My take on the classic Italian Wedding Soup with Escarole. Its such a comforting meal, easy to make and absolutely delicious! We are now weeks past the time change with the lovely daylight savings and my boys are still not back on schedule. Well really its just the little one that apparently has an internal alarm that goes off at 6:15. I am so not a morning person and the fact that I don’t get to sleep early enough has meant a drained me this past week. The answer to that, soup of course!!! 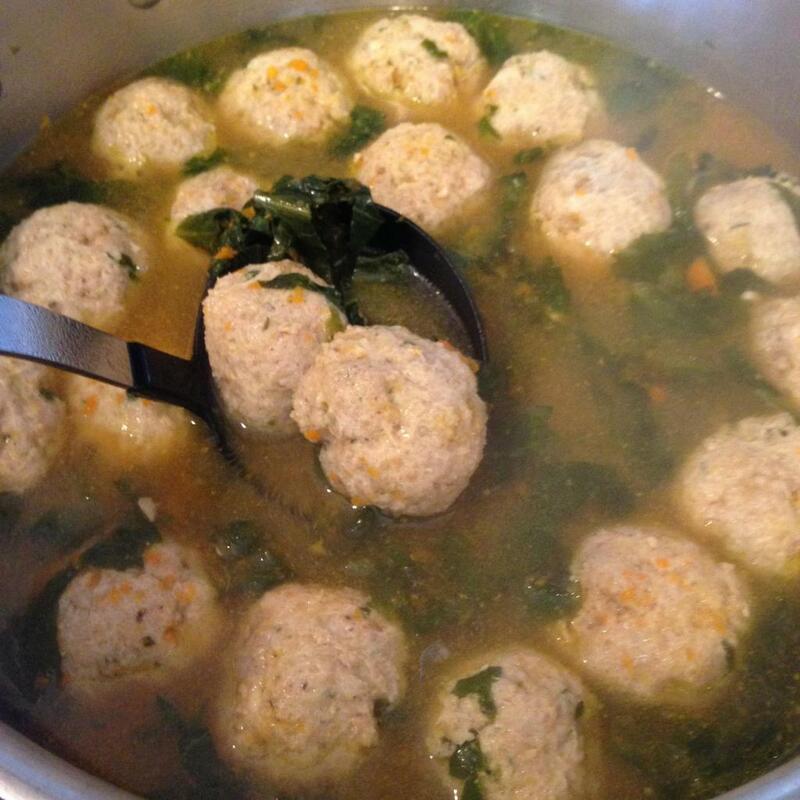 This Italian Wedding Soup with Escarole packs tons of vitamins and I substituted chicken meatballs instead of beef, so you’ve got some good lean protein in there too. 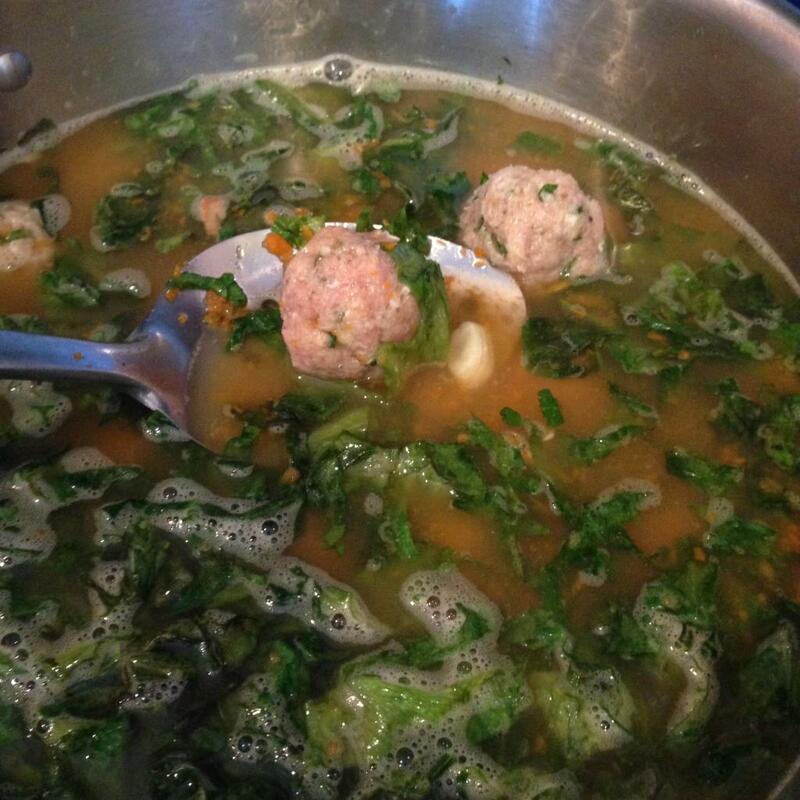 Italian Wedding soup is pretty basic, little meatballs in broth. I enhance the broth with pureed carrots, it adds a subtle sweetness and a huge amount of Vitamin A. Escarole is a variety of endive, high in folic acid, fiber and a variety of vitamins. Can’t help but to eat bowls of this, so good!! In a large pot, over medium heat, add a few drizzles of olive oil and the garlic. 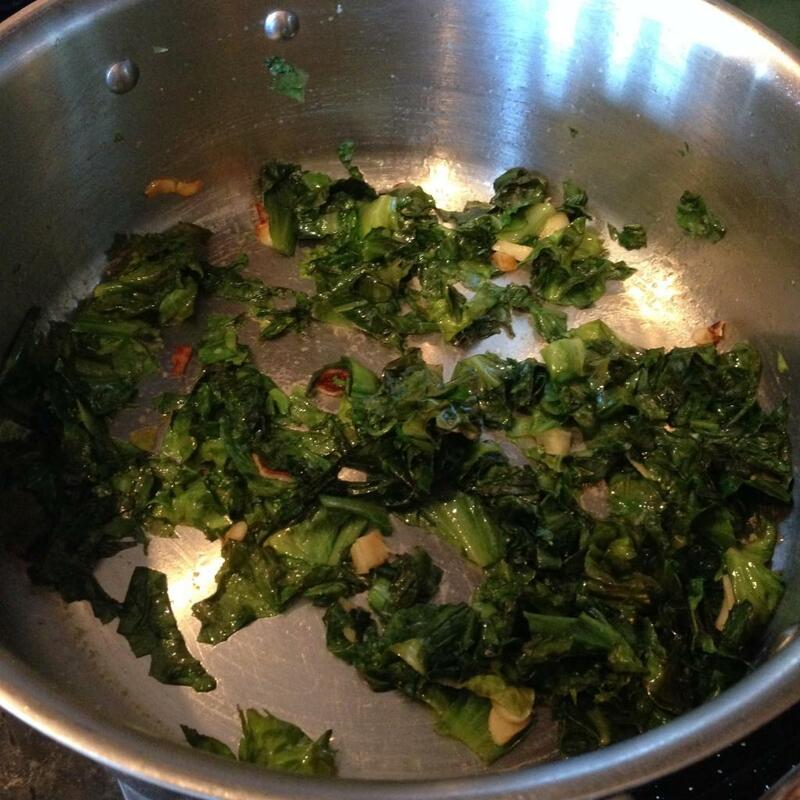 Cook until fragrant then add in the chopped escarole and cooked until wilted. Add in the broth, carrots, salt and pepper. For the meatballs add the chicken, bread crumb, grated cheese, garlic powder, egg and parsley to a bowl. Combine the mixture and roll into small meatballs. Gently place the meatballs into the simmering soup and cook on low for 45 minutes. Yum! 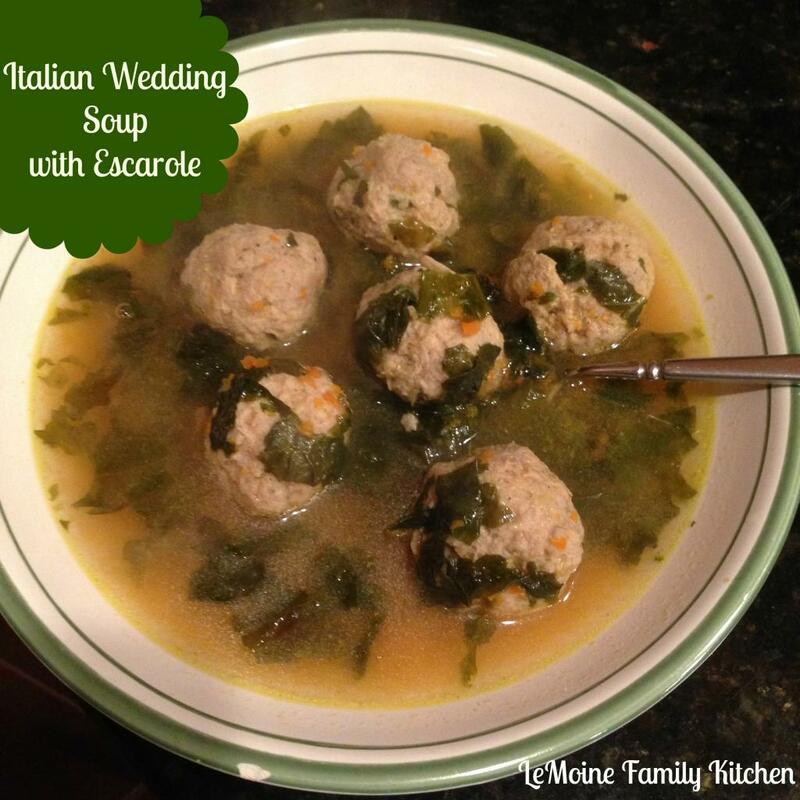 Italian wedding soup is my absolute favorite soup! I’m pinning this right now to hopefully make this week. I’d love it if you would link up a favorite thanksgiving recipe in this month’s recipe writers Link Up! Visiting from Northeast Bloggers Network! I love wedding soup!! So comforting! Thanks for linking up with us!